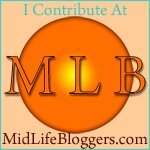 MidLife on Wheels: Fulltime RVing FAQ #2: How do you get your mail, license plates, etc? Fulltime RVing FAQ #2: How do you get your mail, license plates, etc? The 2nd most asked question I get after “How can you afford to do this?”, is about mail and having an address to conduct business through. It would be nice to be able to totally unplug from all the land based ways but our insurance companies, banks, vehicle licensing and voting offices seem to insist that we have some stationary place to be found. This might be a challenge for us free rolling folks except that there are many entrepreneurial land-based folks out there to help us and keep us rolling. Two days before I bought my RV & sold my house, I went to license my new Jeep using the Personal Mailbox that I set up with a private company in Colorado. The licensing office kicked out the address and refused to let me license the vehicle with that address. So ended up using a family members address in Missouri to license the Jeep and my motorhome. The sales tax and licensing requirements in Missouri were not optimal and it costs me thousands more dollars than it would have if I had licensed in another state. Towards the end of my first year on the road, I met a full-time couple that explained to me that there were many companies and groups that served RVer’s and that I just needed to do a little research and decide which would be best for me. Some state options were Texas, Florida, Oregon, Montana and South Dakota. There may be others but these are the main ones that I have come across. Each state has their own set of rules, regulation and fees and their own pluses and minuses. My choice came down to the Escapee’s in Livingston, TX or a company in South Dakota. I chose South Dakota. I like that they have no vehicle inspection requirement and that the tax when you buy a motorhome is around 3%. It is actually calculated a couple ways but you end up not paying more than 3%. The other thing that I liked about South Dakota was that I didn’t have to have a SD Drivers license _before_ I could register my vehicles there. I also like that it is in the middle of the country, thus when I do go and renew my drivers license (the only thing that has to be done in person) it isn’t as far as going from one coast to another coast. When I changed from Missouri to South Dakota my costs for licensing and insuring my vehicles literally dropped by a almost two thousand dollars. So once I chose the state that was best for me, then I had to choose a mail forwarding company. The best way to choose a company is not only to compare services and rates but also to talk with others licensing in the state about their experience. Most mailing services will give you options to have your mail sent on demand or on a set date every month, they may charge annually or by the number of times you have mail sent. Usually they have separate fees for licensing your vehicles, if they offer that service. I did a lot of research before choosing my first South Dakota service. I ultimately went with a company that had been recommended to me. It turned into a very bad experience. I went with “My Home Address” in Emery, SD and I had so many problems getting my mail over the two years I was with them and was treated so rudely that finally changed. I did a lot of research before jumping to another company and ended up choosing My Dakota Address. One of the things that drew me to this company is that they offer the option to have what mail you receive emailed to you. I get my mail forwarded to me when I need tax document or something important like that. I don’t really care when I get my Good Sam card. So knowing what mail I have sitting there helps me make the decision on when I want my mail sent to me. I have found it very helpful. The other thing that your mailing service should do for you, is to help you register your vehicles and help you navigate what you need to do to vote. My Dakota Address has been helpful to me with all of these and has given prompt friendly replies to all my queries. I have been with them now for over three years and not had any problems. What’s worked well for me may not be ideal for you. Using a family member’s home for your mail may seem like a good way to start out but it can also get to be burdensome for them. There are many options out there, so do your research and find what’s best for your needs. No need to stay land-based and sit around and wait for your mail .. get out on the road and keep those wheels turning.